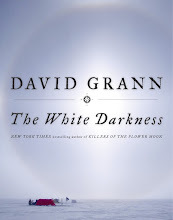 Publisher's Summary: In the picturesque village of Guzmán, Spain, in a cave dug into a hillside on the edge of town, an ancient door leads to a cramped limestone chamber known as “the telling room.” Containing nothing but a wooden table and two benches, this is where villagers have gathered for centuries to share their stories and secrets—usually accompanied by copious amounts of wine. It was here, in the summer of 2000, that Michael Paterniti found himself listening to a larger-than-life Spanish cheesemaker named Ambrosio Molinos de las Heras as he spun an odd and compelling tale about a piece of cheese. An unusual piece of cheese. Made from an old family recipe, Ambrosio’s cheese was reputed to be among the finest in the world, and was said to hold mystical qualities. Eating it, some claimed, conjured long-lost memories. But then, Ambrosio said, things had gone horribly wrong. . . .
By the time the two men exited the telling room that evening, Paterniti was hooked. Soon he was fully embroiled in village life, relocating his young family to Guzmán in order to chase the truth about this cheese and explore the fairy tale–like place where the villagers conversed with farm animals, lived by an ancient Castilian code of honor, and made their wine and food by hand, from the grapes growing on a nearby hill and the flocks of sheep floating over the Meseta. What Paterniti ultimately discovers there in the highlands of Castile is nothing like the idyllic slow-food fable he first imagined. Instead, he’s sucked into the heart of an unfolding mystery, a blood feud that includes accusations of betrayal and theft, death threats, and a murder plot. As the village begins to spill its long-held secrets, Paterniti finds himself implicated in the very story he is writing. I know what the "experts" say about the food groups, but I have my own edition of what the food groups are and one of them is cheese. Yep, cheese gets it's own group. There are a whole lot of cheeses out there in the world and there are very few of them that I've tried and didn't like. 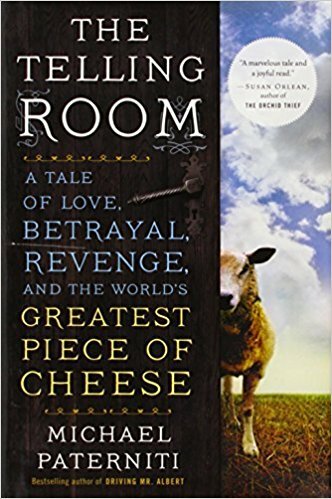 So four years ago when I first heard about this book, I knew that I had to find out about the world's greatest piece of cheese. I must admit that it seemed like it would be a stretch to write an entire book about one kind of cheese. Clearly I did not read the summary before I started reading because this book is so much more than a book about cheese. It is, at least a little bit, about the slow-food movement (it was that movement, after all, which caused Ambrosio Molinos' cheese to gain world-wide fame). "Ambrosio saw himself as the needle and thread, stitching backward in time, unifying epochs. The awards had validated the idea that you could still make old food, the old way, and enthrall." It's also about the Castilian way of life and the land. It's about family, friendship gone wrong, greed, and obsession. Not only Ambrosio's obsession with revenge but Paterniti's obsession with Ambrosio and the village of Guzman; Paterniti, a journalist who had traveled the world, became so obsessed with Ambrosio's story, eventually, he moved his entire family to Guzman. Which all makes it a book that's hard to put down, something you almost certainly wouldn't expect from a book you thought was just about cheese. A word about Paterniti's writing: this book is chock-a-block full of footnotes; footnotes that have footnotes that have footnotes. Some of this is because of the way Ambrosio told his tale (and the tales of others). Much of it is simply Paterniti traveling down side roads, roads that were often humorous, often filled with Spanish history. Occasionally they were distracting but for the most part I enjoyed them. Just as I did Paterniti's writing. He brings the processes, the food, the land, and the people alive. "The only constant was the bodega. It was nearly guaranteed that at some point along the way we'd end up in the telling room with Ambrosio holding forth, in great word gusts of appreciation for the joys of Castile. He slurped wine and let out wondrous sighs, saying, "Its taste reminds me of the old people who once sat here. It's a privilege to drink this wine." It was a privilege to eat the almonds and the chorizo and jamon, too. It was a privilege to sit on one's derriere in the telling room and get pleasantly soused while hearing stories. It was a privilege to walk this land, to live in this place, to watch the grain grow." Years ago, my husband picked up a book called Driving Mr. Albert. He thoroughly enjoyed it but it didn't appeal to me (let's be honest, I wasn't really listening when the hubby was telling me about it). Turns out Paterniti wrote that book. I wonder if we still have it. Suddenly, it sounds very much like something I'd like to read! How funny. I had no idea what this book was about when I plopped down to read your review. I LOVE cheese. Adore it, actually but not sure I could read a book primarily about cheese. What's your fave cheese? I love blue cheese but I have to be careful because some blues are made with bread mold which is not gluten free. I found this out the hard away. I love a good Brie, warmed with honey. Now, I am hungry.